When the morning sun appears, this charming acrylic suncatcher is there to greet it! 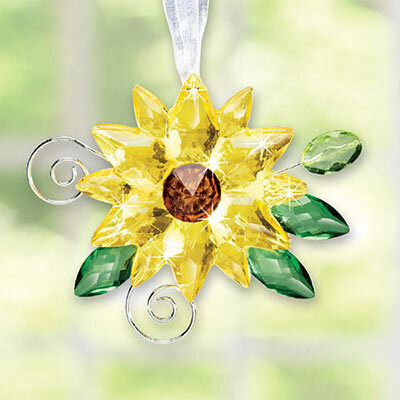 Faceted sunflower features hues of sunny yellow and rich amber alongside bright green leaves and metal scrollwork. Includes 9" hanging ribbon. Perfect gift for flower lovers. 3½"h.